Whether you own or manage your athletic club, it's crucial to generate leads. While you can engage in outbound marketing tactics to generate leads (pushing print ads, soliciting prospects from paid email lists, etc. ), they don't always pull the same results as inbound marketing. In many cases, inbound marketing tactics are more effective than outbound marketing. Offering up free, valuable content prospective athletic club members can use is a reliable way to attract members to your club. Blogging is a great way to get this done and create awareness. Blogging has the potential to increase leads by 4.5 times. Create blog posts that answer questions or show prospective members how to use your club. Compose an article or infographic about getting started with weightlifting or group fitness. Don't forget to create valuable content to share via your social media accounts, including links that point followers back to your blog and landing pages. Local search engine optimization (SEO) is crucial to capture your target audience's attention and, ultimately, drive sales. Half the people who search via a mobile phone locally visit the location the same day with as much as 18 percent leading to a sale. Therefore, it's key to prioritize local SEO so you can find members who live close to your athletic club. These prospects are more likely to join your club since its close to their homes or jobs. Focus on targeting keywords and phrases they will likely use, such as "best fitness clubs in Rochester" or "gym near Rochester." It's also important to optimize your site for voice search since more people are using voice assistants, such as Siri and Google Assistant. Include a call-to-action (CTA) in your content so you can direct your prospective member to take the action you desire. 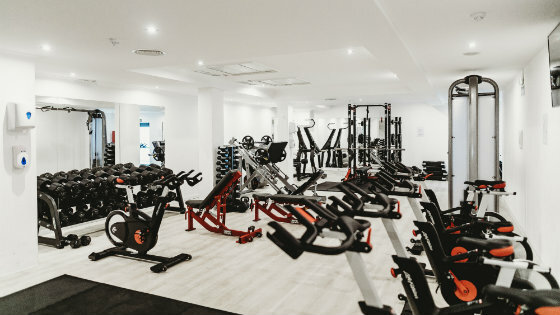 For instance, if you want your target audience to click on a link to sign up for a club membership or free day pass, create a CTA that says something along the lines of "Claim Your Free Gym Pass." By using a CTA, you can help your leads know exactly what to do next. When your target audience considers your services, they're committed to addressing their fitness challenges. But your prospective members need some convincing on why they need a club membership. Because of this, it's critical to create valuable content that shows them how they can use your club, and you can achieve this with video. After all, 90 percent of website visitors will remain on your site longer if you feature videos of your services or products. For instance, you can create videos that share quick tips on how to fit in a workout before work and share it on YouTube, Instagram, and other social media platforms. You can also create videos that show your target audience your fitness classes in action or even create short videos that provide helpful tips on how to use the equipment at your club. 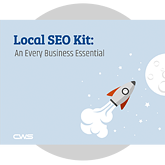 Whether you opt to leverage local SEO or another reliable inbound marketing tactic, it's critical to implement your tactics effectively. Consider taking advantage of a professional team with expertise in inbound marketing for athletic clubs. By leveraging an expert in inbounding marketing, you can ensure your chosen tactics are executed effectively so you can increase your athletic club membership.